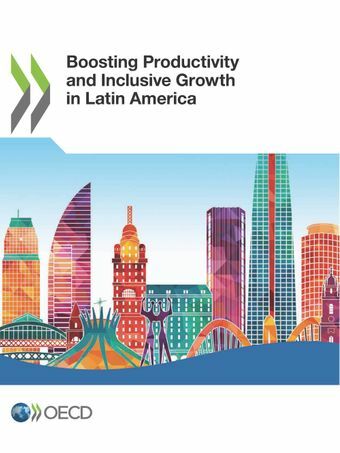 Over the past two decades, most Latin American and Caribbean (LAC) countries have experienced robust economic growth and been able to make significant reductions in poverty and income inequality. However, growth in the region was not strong enough to ensure convergence towards levels of per capita income observed in advanced OECD economies. An important part of this underperformance can be explained by weak productivity growth. Should this weakness persist, it will be very difficult for LAC countries to achieve better lives for the majority of families. The present publication portrays the situation of LAC countries and discusses best-practice policies. Participation in global value chains is encouraged to enable knowledge spillovers and a process of learning by doing. More regional trade integration would help this process, as Latin America ranks very low and remains a sizeable outlier. The diffusion of knowledge and technology would be facilitated by making it easier to do business, notably allowing new entrants that are facing high barriers to operate and grow. Improved access to education is important to meet the demand for skills, and to boost innovation and research and development, which is particularly true in a context of fast technological change.